A five-year plan for developing public infrastructure of a nation-state sounds like an anachronism of state socialism. Yet in 2016, the UK government, led by Conservative Prime Minister David Cameron, published a five-year National Infrastructure Delivery Plan, covering all aspects of the nation’s infrastructure such as transport, energy, housing, schools, and scientific research. In a striking echo of Lenin’s famous analysis of the vital role of electrification for a socialist economy (Lenin 1920), the UK government pronounced that “infrastructure is the foundation on which our economy is built” (IPA 2016a). If there are apparent continuities in the way the importance of public infrastructure to the economy has been conceived over the last hundred years, there are also significant differences. After all, there is no sense today that the UK’s public infrastructure should necessarily be publicly owned or directly controlled by the state. On the contrary, the National Infrastructure Delivery Plan imagines a world organized through myriad regulators, nonprofit companies, and private corporations. The plan lays out the basis for a predictable future on which business can both capitalize and generate capital (Mitchell 2016). Although, according to the UK government, the nation’s infrastructure need not necessarily be owned by the nation-state, it is nonetheless public in a different sense. Indeed, one of the reasons for publishing a five-year plan is precisely to make the state of the nation’s infrastructure public, fostering “transparency for the wider business community and general public about how the infrastructure they rely on is being maintained and improved” (IPA 2016a:24). 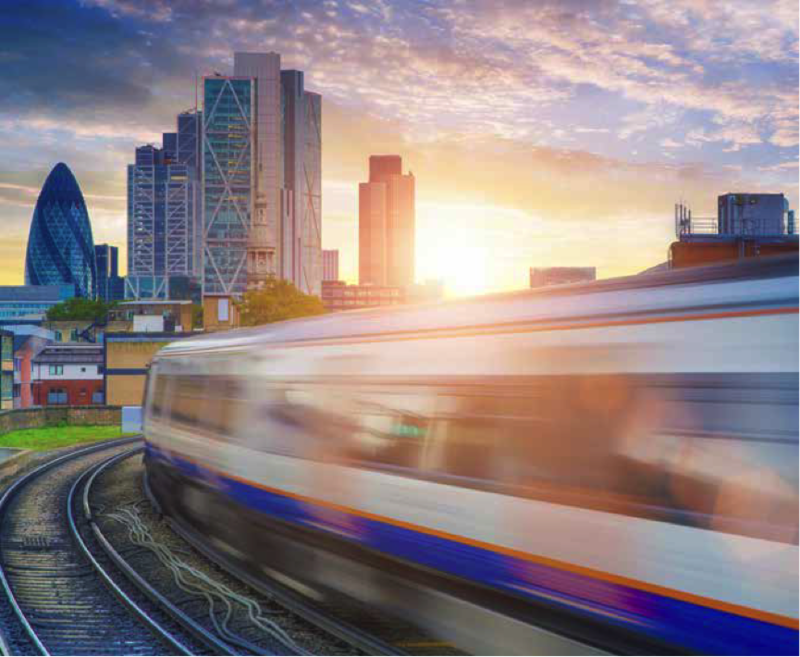 This principle applies to a vast range of projects, including the high-speed rail line from London to Birmingham and Crossrail (an underground line connecting Heathrow airport to the City financial district and the East End) (fig. 1); super-fast broadband to 95% of all UK premises; new hospitals in Brighton, Birmingham, and Cambridgeshire; a Thames Tideway tunnel; 160,000 houses built on public land; five new prisons; a “world-class” public health laboratory; a nuclear reactor on the west coast of England (Hinkley C); and numerous flood protection schemes as well as major pieces of scientific infrastructure such as the Francis Crick institute (“a world leading” center for biomedical research) and even a Royal Research Ship. In emphasizing the importance of transparency, the British government is saying nothing unusual. In the past 20 years transparency has become a core principle of good governance. Indeed, there are a plethora of international agreements that include clauses promising transparency or public access to information, and international financial institutions such as the World Bank have been zealous in their promotion of the virtues of transparency. Even multinational companies seek to demonstrate their transparency, although arguably less now than they did previously. And lest anyone might think transparency is merely another manifestation of a wider neoliberal ideology, the idea is central to the program of the radical democratic organization DiEM25 (Democracy in Europe Movement 2025) recently founded by Yannis Varoufakis, the former finance minister of the Syriza government in Greece and one of the most prominent and vocal opponents of austerity in the European Union. Yet if transparency has become a key term across the political spectrum, it has particular relevance to an understanding of infrastructure, as the publication of the UK government’s plan suggests. One reason for this should be clear: if the general public depends on the existence of infrastructures, then there is a public interest in infrastructure. But there is a second justification for transparency apparent in the UK government’s plan: information about infrastructures needs to be made public because the state of a nation’s infrastructure is an object of investment. The nation’s infrastructure is constantly in the process of development; its component parts therefore need to be projected or planned and financed. Investors need to be aware of the attractive investment opportunities that infrastructural developments might bring. Naturally pipelines form a critical part of the nation’s infrastructure. But, taken as a whole, the national infrastructure plan envisages a continuous “pipeline” of projects and investment opportunities. There is sometimes the suggestion that infrastructure is best understood as something invisible or buried. It is the taken-for-granted base on which social and economic life rests, and only becomes visible when it breaks down (Star 1999). In practice, this is often not the case; urban residents, for example, need to be alert to the fluctuating state of the city’s infrastructure, which is marked by frequent leaks, interruptions, and variations in speed, pressure of supply, or quality of service (Björkman 2015). Storms and hurricanes damage the nation’s infrastructure, dramatically forcing the need for public investment (IPA 2016a:12). Businesses and the general public need up-to-date information about the state of a nation’s infrastructure because this infrastructure is not a stable foundation, but a foundation that moves. After all, the physical state of infrastructures such as power stations, roads, and rail tracks never stay the same, and sooner or later they require repair; indeed, they undergo constant processes of deterioration. 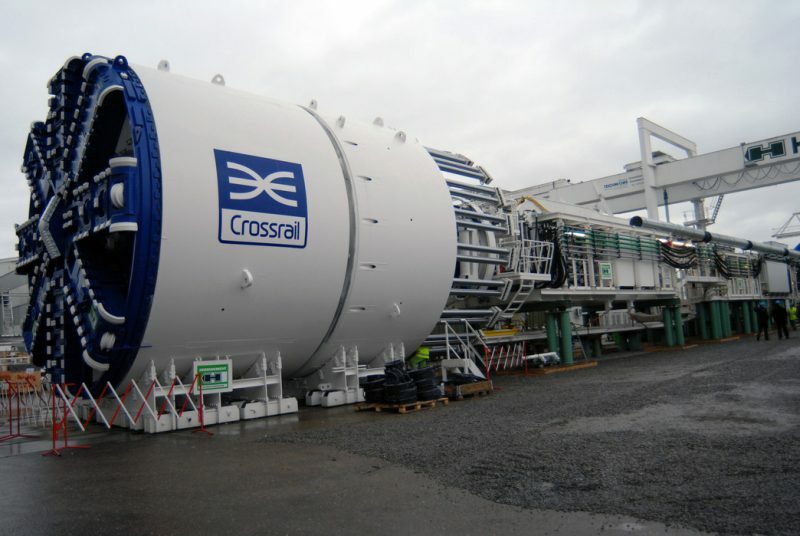 Figure 1: One of the first of six Crossrail boring machines; each one has it’s own name: Ada, Phyllis, Mary, Victoria, Elizabeth and Sophia. The idea of transparency makes clear that the ongoing existence of infrastructures, whether they are pipes, roads, or cables, depends on their coexistence with a parallel infrastructure of knowledge production and information dissemination. If the future is to be predictable, it must be made knowable. Whereas Lenin had once considered drawing on the experience of workers and peasants to counteract the dangers posed by the bureaucratization of the state, the contemporary developers of infrastructure contend that the ongoing and future existence of infrastructure depends on an army of financial analysts, developers, surveyors, environmental assessors, engineers, security advisors, and experts in risk management. Making infrastructure transparent is not a matter of making pipes and cables visible to the naked eye; it is instead a matter of making public a fraction of the knowledge continuously generated about infrastructure, thereby establishing a second-order infrastructure of information production. The UK government’s infrastructure delivery plan itself is primarily concerned with the transparency of financial and investment information: its “sources and method provide a consistent, transparent and reliable estimate of infrastructure investment across periods, using publicly-available data” (IPA 2016b:3). Its authors cite the financial reports of public bodies and major energy, transport, and telecommunication corporations. However, as elements of the infrastructure plan—roads, broadband networks, flood protection schemes, research facilities—are progressively realized, other forms of information, such as assessments of infrastructure’s environmental and economic impact, will also be made public (compare with Barry 2013). Multiple publics are thereby called into being and defined by the expectation that they should be progressively informed about an infrastructure’s projected future, current state, and potential impact. The UK government’s five-year plan may be partly a way of stealing the language of the left. The wider ambition of the five-year British plan is not only to be a national economic project, but to affect a geographical shift: to transform the deindustrialized north of England, the political base of the opposition Labour party, into a “powerhouse.” Conversely, the current leadership of the opposition Labour party has equally emphasized the strategic need for government funding for infrastructure, contradicting the government’s fierce commitment to the virtues of austerity. But by including private investment in the National Infrastructure Delivery Plan, the government has dramatically expanded the scale of investment in public infrastructure without the need for additional public borrowing. By making publicly owned land close to public infrastructure projects available to private developers, support is given to the UK government’s prevailing policy that “affordable” housing is best provided by the market. The five-year plan also tells us something else about infrastructure today. Infrastructures are not, if they ever were, merely reducible to clearly delineated objects such as pipes, wires, tunnels, and bridges. The ongoing existence of infrastructure depends on the cultivation of consumers and businesses that have an interest, and generate interest through its future existence; transparency appears to offer governments and corporations a way of managing the relation between infrastructures and their publics, which needs to be sustained over time. But there is always a danger for multinationals as well as governments that transparency will lead to the demand for more transparency—indeed to publicity—about private deals and financial and legal arrangements, which is inevitably resisted. Infrastructure turns out to be much more than either Lenin or the current British government imagined: the “foundation” on which a damaged and unbalanced national economy can be reconstructed. In parallel, it has become a focus for debates both about what contemporary publics are and should be today, and what such publics need to know. The research ship is intended for exploration of the Polar Regions. It was infamously named Boaty McBoatface following an online poll by the Natural Environment Research Council, and subsequently renamed Sir David Attenborough. Speech by John McDowell to the Labour Party annual conference, September 2015. Barry, Andrew. 2013. Material Politics: Disputes along the Pipeline. Chichester, UK: Wiley-Blackwell. Björkman, Lisa. 2015. Pipe Politics, Contested Waters: Embedded Infrastructures in Millennial Mumbai. Durham, NC: Duke University Press. Infrastructure and Ports Authority (IPA). 2016a. 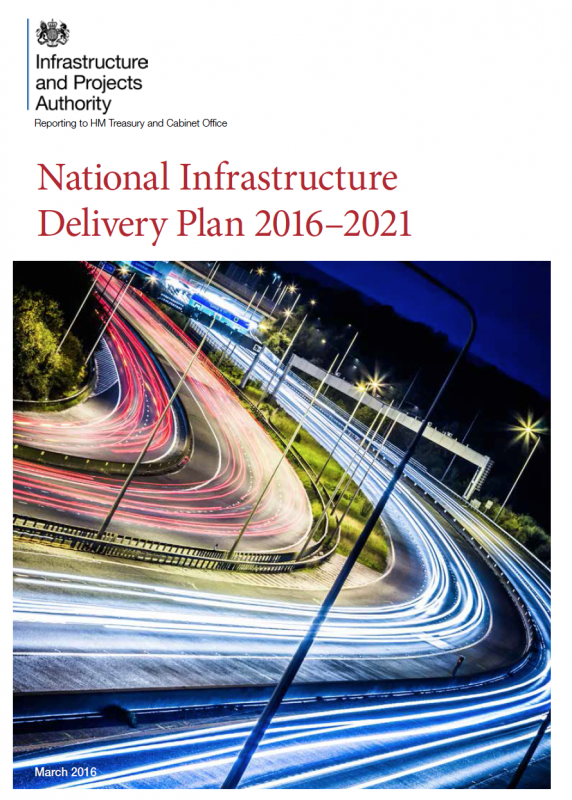 National Infrastructure Delivery Plan 2016-21. London, UK: HM Treasury. ———. 2016b. Methods and Sources for the National Infastructure Delivery Plan 2016-21. London, UK: HM Treasury. Lenin, Vladimir. I. 1920. “Our Foreign and Domestic Position and Party Tasks.” In Collected Works, Volume 31, 408–446. Moscow, Russia: Progress Publishers. Mitchell, Timothy. 2016. “The New Histories of Capitalism: Who Gets the Credit?” Keynote lecture at the Egypt over the Longue Durée conference, Corpus Christi College, Oxford, UK, May. Star, Susan Leigh. 1999. “The Ethnography of Infrastructure.” American Behavioral Scientist 43(3):377–391.